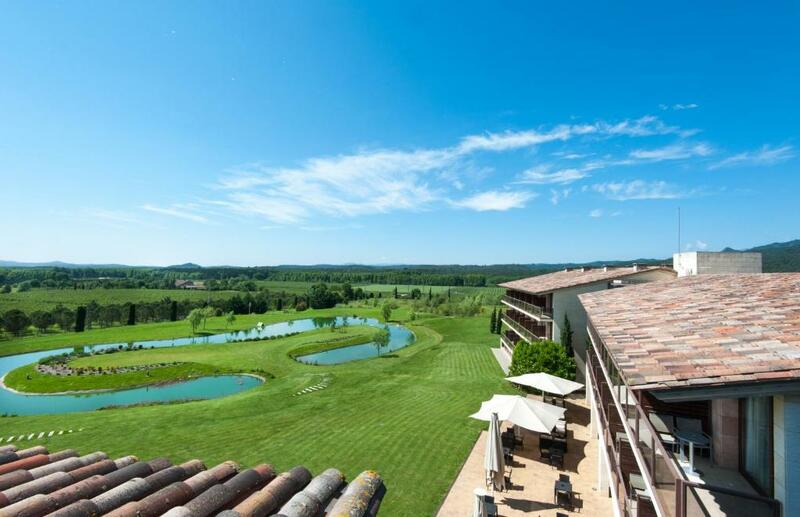 Lock in a great price for Hotel Mas Solà – rated 8.9 by recent guests! 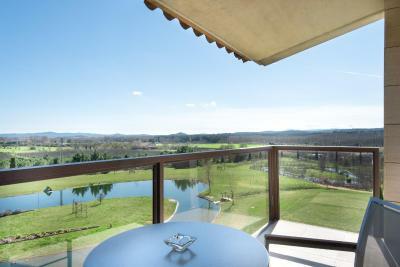 Spacious room with nice view to the great lawn with ponds and ducks. Comfy beds. Proffessional staff. Fast WiFi. And the highlight of the stay - excellent breakfast. Strong 4 stars for sure. The facilities are beautiful! Rooms are very nice and the view to the lakes is lovely. The restaurant is absolutely fantastic and food is amazing! If you stay in the hotel you can get the menu for only 25 euros. 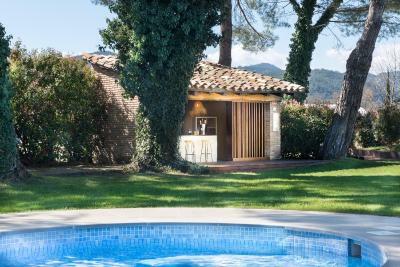 The property is on the outskirts of a small village, but 30 minutes away from the beautiful city of Girona, and not too far from the Mediterranean sea. 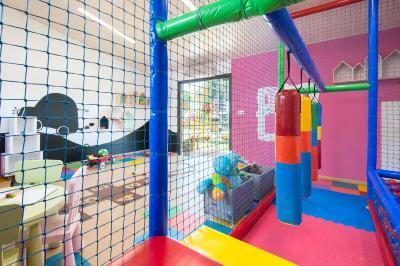 Amazing hotel with great installations (pools, tennis) on a big land. Very friendly and helpful staff. My room (103) opened to a beautiful garden and the mountains (I think they all do). Pleasant balcony. 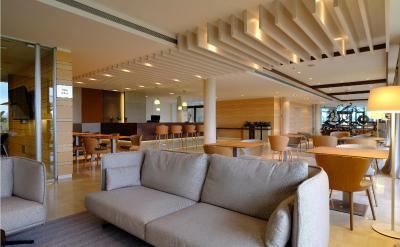 Superb breakfast buffet that you can enjoy on the garden terrace. There is a restaurant in the original farm house (mas). Very good cuisine, prices on the high side. There is a good 25 euro menu for the hotel guests. A beautiful place to rest and enjoy yourself. Reasonable fare (I was there on a Tuesday night at the end of June). breakfast was excellent. Room was large, clean and had lovely views. Gorgeous view, comfortable bed, luxurious spa and generous breakfast! The garden is amazing. Hall and the balcony with the view on the countryside. A very relaxing place. We stayed with our dog(middle size) and she enjoyed hotel's garden very much. We recommend this hotel if you are with animal. Friendly staff who went out of there way to allow our large dog to stay with even a bowl of water on arrival. Good breakfast. 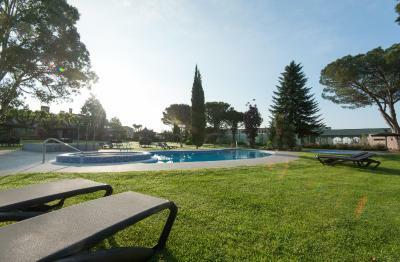 Hotel Mas Solà This rating is a reflection of how the property compares to the industry standard when it comes to price, facilities and services available. It's based on a self-evaluation by the property. Use this rating to help choose your stay! 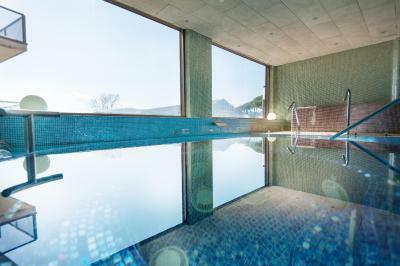 Located in Santa Coloma de Farners in the province of Girona, Hotel Mas Solà features a luxurious spa and outdoor swimming pools. 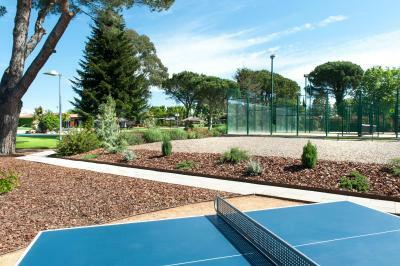 Free WiFi is offered throughout the property and free public parking is available on site. 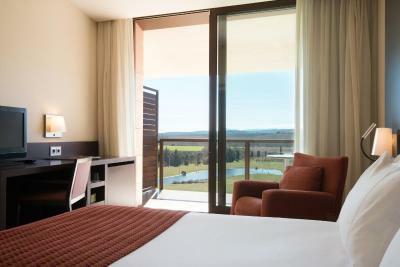 All spacious rooms feature a private terrace with garden views, flat-screen TV, safe, heating, and air conditioning. The bathroom comes with free amenities, bath, and hairdryer. 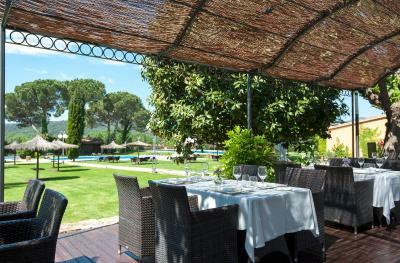 The restaurant at Hotel Mas Solà occupies a characteristic Catalan farm house from the 16th century. It offers fresh seasonal cuisine. Thermal circuits and massages are available at the spa, as well as a spa bath. The Mas Solà also has cardio equipment. 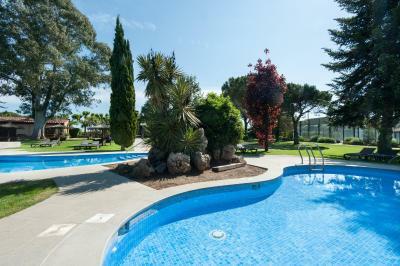 Set within beautiful gardens, facilities at the hotel include an artificial football pitch, 12 tennis courts, and 4 paddle courts. 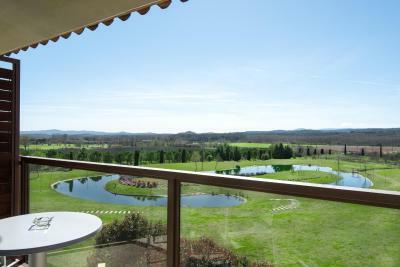 Bicycle rental can be arranged for guests to explore the surroundings of Mas Solà. Girona Airport is just 10 minutes away by car. 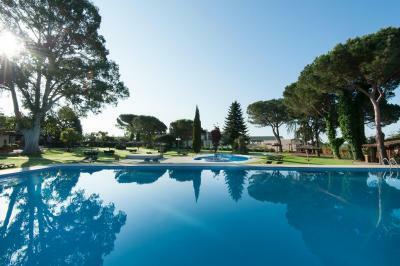 The beaches of the Costa Brava and the PGA Golf de Catalunya are a 20-minute drive away. When would you like to stay at Hotel Mas Solà? Modern, air-conditioned room with 2 single beds or one king bed. There is a balcony with garden or mountains views. Modern, air-conditioned room with 3 single beds, or one king bed and one single bed. There is a balcony with garden or mountain views. 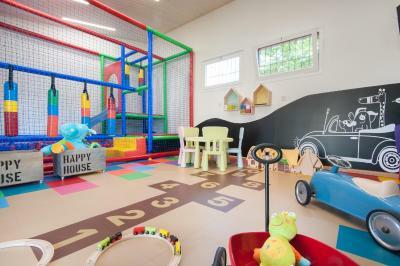 The air-conditioned room has 2 single beds or 1 king-size bed. There is a balcony with garden or mountains views. 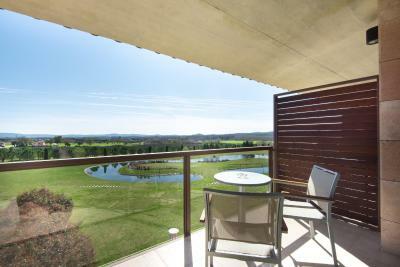 Featuring a terrace with lake views, this suite includes a flat-screen TV and a seating area with a sofa. The bathroom comes with free toiletries, hot tub, bathrobe, and hairdryer. Featuring a balcony with garden views, this double room has air conditioning and a mini-bar. It comes with 2 single beds or 1 large double bed. 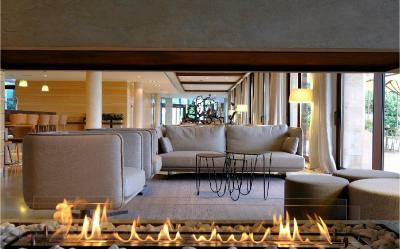 House Rules Hotel Mas Solà takes special requests – add in the next step! 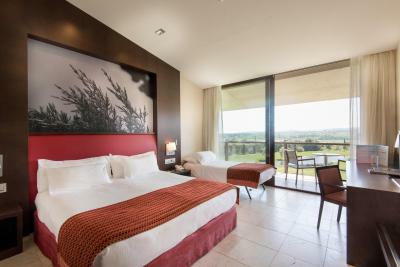 Hotel Mas Solà accepts these cards and reserves the right to temporarily hold an amount prior to arrival. Access to the spa reserved for guests over 16 years old. I wish we had stayed longer! Spa was a little small. Spa's jacuzzi was so powerful. Couldn't stay long. The restaurant for evening meal was unfriendly, waiters had a 'superior' attitude and the food on the al a carte menu was not worth the money. They do offer a special, cheaper, fixed price menu for hotel guests and maybe we should have chosen from that!! Staff was really nice, breakfast very good, and great location if you like cycling! Nothing much. The AC got broken in my room, but I was offered a new room, so had no troubles at all. We were told when we arrived that the restaurant was cloaks and we could get something to eat in town. The restaurants in town were closed also. We should have been told this on booking. The toilet in the bathroom was nit working and we had to use the one at reception. It’s a pretty location. The room had a lovely view and was comfortable.